From the beginnings of human ingenuity, we’ve sought shelter from the elements. As soon as our ancestors ventured out from the refuge of caves and other natural sanctuaries and began constructing their own quarters, we began perfecting the art of roofing. Much more than just the surface materials that you can see with the naked eye, what we consider roofing actually includes the structural elements that hold up the roof itself: the roof’s exterior surfacing, the connected trim, and the soffit that shields the underside of the roof overhang. Roofing, which is exposed to elements all the time, serves as the first line of defense between your home and Mother Nature. But where it was once a simple yet vital protector from harsh sun and driving precipitation, roofing today has evolved into an essential design element. An almost unlimited number of roofing materials is now available, from metal, ceramic, rubber, concrete, asphalt, and wood, to composite materials—each suited for different styles, needs, and applications. Technological advancements have allowed us to create roofing materials that do much more than just keep the weather out. Soundproofing, wind resistance, structural integrity, and energy efficiency are all expected of today’s roofing systems. And a myriad of colors, shapes, materials, and design choices now mean that all types of roofing can be as beautiful as they are durable. Each roofing option has its advantages in terms of cost, ecological soundness, installation, longevity, performance, and appearance. 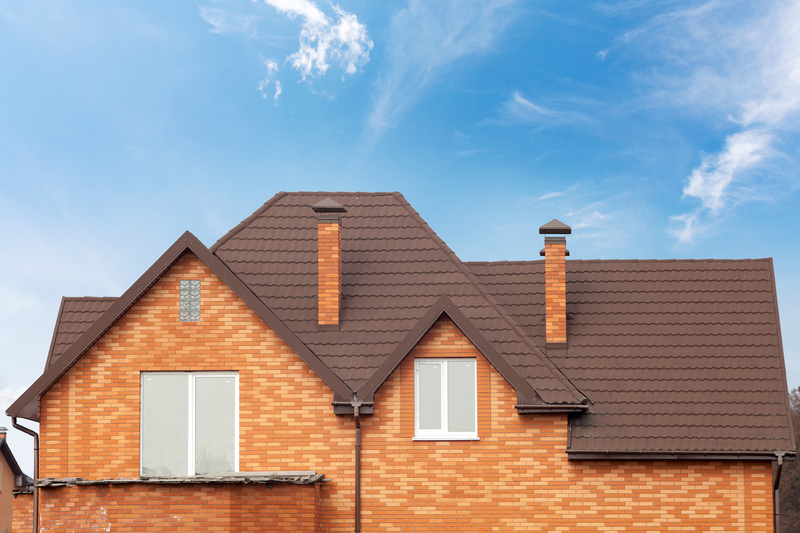 If you’re considering a new roof, there are some considerations to keep in mind. What works in one climate may not be suited to another; the type of framing you have may dictate how much your roofing material can weigh; regulations in your community may mean some options are off the table. But the good news is, there are so many options available today that you are sure to find one that meets your needs and budget. Some of the newest trends worth watching right now are materials that are redefining roofing as you may know it. The environmental movement hasn’t slowed down, and consumers are increasingly demanding that the products they use meet environmentally friendly standards. Roofing material is no exception. 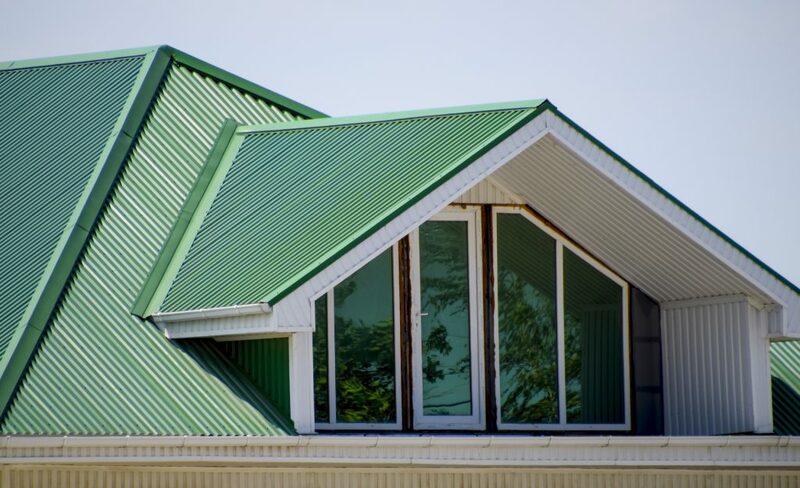 Metal Roofing is especially popular among environmentally aware consumers for a variety of reasons. Fully recyclable, metal roofing is more ecologically sound than many other choices. For those interested in harvesting rainwater or generating solar power with their roofs, metal roofs offer some distinct advantages—including being easy to clean, having a longer lifespan than asphalt shingles, and having raised panel joints that are easily integrated with solar panel mounting clips. Metal roofs can even be retrofitted on top of existing roofs—without removing them—for an easier installation option and an additional layer of protection from the elements. Euroshield manufactures shingles from 95% recycled content—mostly tires. These shingles are durable, beautiful, and fully recyclable at the end of their lifespan. They are also LEED-certified, making them a good choice for those seeking LEED certification for their projects. Slate roofs are eco-friendly, and they easily qualify as the most durable and longest-lasting roofing material available. A well designed and properly installed slate roof can last well over a century. Fiber Cement products from James Hardie are among green trim options that are stylish and beautiful and are becoming increasingly popular because of their low maintenance durability. Available in a variety of profiles, colors, and designs, the HardieTrim and HardieSoffit are formed from a proprietary blend of concrete, sand, and wood fiber that is waterproof, insect-proof, and fireproof. Because of concrete’s rigidity, the trim boards and soffit will not warp or sag when properly installed, and the product does not expand or contract, leading to tighter installations that last longer. While non-recyclable, the concrete fiber product is considered inert—it doesn’t break down or harm the environment. Ideal for high-moisture climates, James Hardie products don’t rot, so they can outlast competing products by decades. Living roofs are the ultimate eco-friendly option. This type of roofing is typically reserved for commercial spaces or urban dwellings with flat roofs. A waterproof layer of rubber is installed first, then a root barrier and drainage system. Finally, soil and plants are added. A living roof with roof access can be a park-like oasis in an urban area, and it can even be used for growing food. Taking the concept of environmentally friendly roofing to the next level are roofing options that are designed to provide serious insulation, lowering a homeowner’s energy costs. There are also roofs that generate power via solar photovoltaic cells. With rising energy costs a certainty, utilizing unused roof space to create power is the perfect solution. 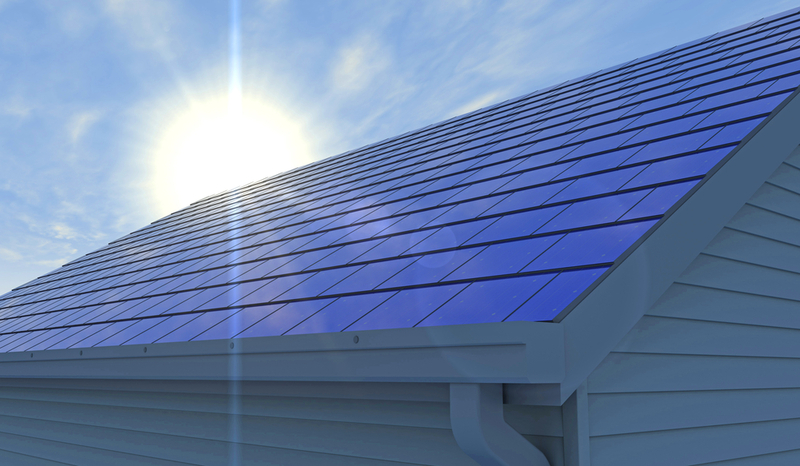 Besides the traditionally mounted large solar panels that sit several inches off the actual roof surface via a system of mounting rails and clips, new technologies have given us shingles that generate power. A solar shingle roof has several advantages to a paneled roof, chiefly that it retains the appearance of a traditionally shingled roof, which can be useful for homeowners in neighborhoods with restrictions. Because a photovoltaic panel is a large rectangle, solar shingles can also be used to generate power on smaller roof planes than on traditional solar panels. Those who want to save rather than generate power can choose an ultra-efficient roofing system that can create an airtight envelope that saves money on power bills. For example, roofing with LP’s TechShield radiant barrier sheathing blocks up to 97% of radiant heat from entering a home’s attic. The precision engineered panels exponentially increase a home’s R-rating, meaning less energy is used for heating and cooling. The product is also manufactured with wood sourced through the Sustainable Forest Initiative, adding another element of environmental friendliness. Special performance features are also becoming increasingly popular. Niche or specialty roofing materials such as GAF’s impact resistant, algae resistant, and reflective shingle lines. These products are not only beautiful, they are designed with unusual properties that you may not expect from roofing materials. Reflective shingles can dramatically increase a home’s energy efficiency, while GAF’s ArmorShield line is perfect for hurricane zones, offering incredible structural protection. Sacrificing quality and performance for appearance is no longer an option for smart consumers. Roofing manufacturers have responded brilliantly to the increased consumer demand for attractive options, with a variety of innovative, well-designed products crafted to be as eye-catching as they are functional. Niche or specialty roofing features are also becoming increasingly popular, such as GAF’s impact resistant, algae resistant, and reflective shingle lines. Color is a huge trend right now across the entire design spectrum—and roofing is no exception. Shingle and tile manufacturers have added dozens of new hues to their offerings, expanding far beyond the traditional muted grays and browns of yesteryear. CertainTeed, for example, offers more than thirty color selections for their Landmark style laminated composite shingles. Metal roofing is available in virtually every color of the rainbow. Experts caution that since roofing and masonry materials typically last longer than siding (which is often subject to fading over time), it’s important that you coordinate the colors of masonry and roofing materials when going bold—rather than trying to match siding or trim. Texture is another design element worth considering when designing an on-trend roof. Gone are the days when a three-tab asphalt shingle was a bold choice. Dimensional shingles, composite or wood shakes, ceramic tiles, and metal roofing all offer homeowners textural options that can complement a home’s appearance. Engineered roofing products from Plygem offer the textured, rich look of slate or cedar shakes, but without the installation hassles, weight, expense, or maintenance. Of course, when replacing any roof, it’s extremely important that homeowners and contractors are working with the most accurate data possible. Factoring materials and labor requires perfect measurements of the roof’s slopes, angles, faces, and overhangs. Especially when working with custom products, ordering too much is a costly mistake, while not ordering enough can create havoc. HOVER’s 3D modeling software allows convenient, extremely accurate measurements for even the most complex roofing situation—no ladder necessary! Contractors, HOVER lets you spend less time measuring, helps you achieve more accurate take offs, and best of all, allows you to offer your clients unparalleled visualizations of the various finished products—for easier sales!